Cute cat graphics; I find the background to be a bit on the busy side though. Too much contrast maybe, makes it distracting. 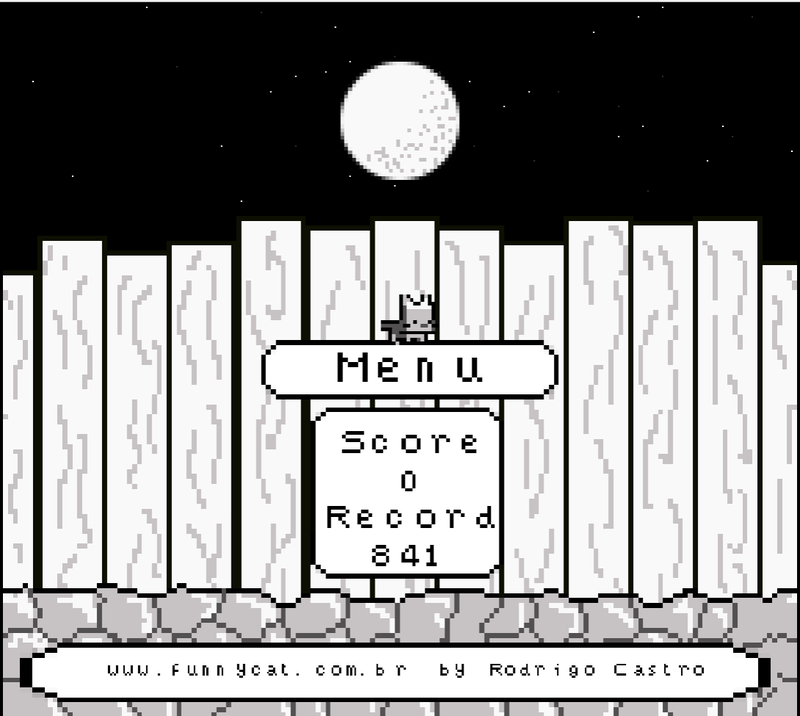 It's a cute survival game, the controls feel fluid enough, but sometimes it seems the pickups wouldn't function properly. There were times when I picked up a clock that appeared right under me and the timer wouldn't go up. 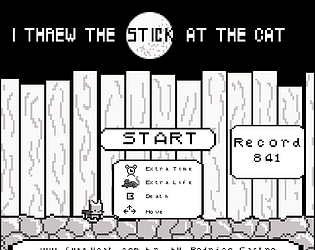 Also, the lives counter when you obtain a mouse doesn't seem to update unless you die (of which I managed to obtain nine lives, go figure! :P). The music's pretty cute though; it does have that upbeat lullaby feel to it. Sometimes the cat would start moonwalking. I guess this is something that cats just do. 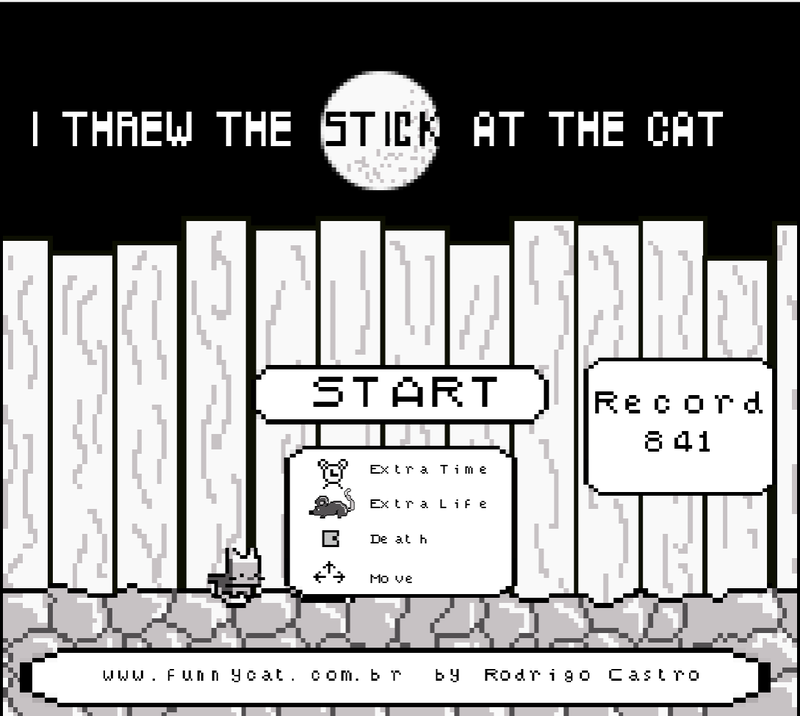 Muito bacana esse jogo, com gostinho de infancia! Adorei a trilha sonora! Parabéns! I love the music and I think it's a pretty good game. 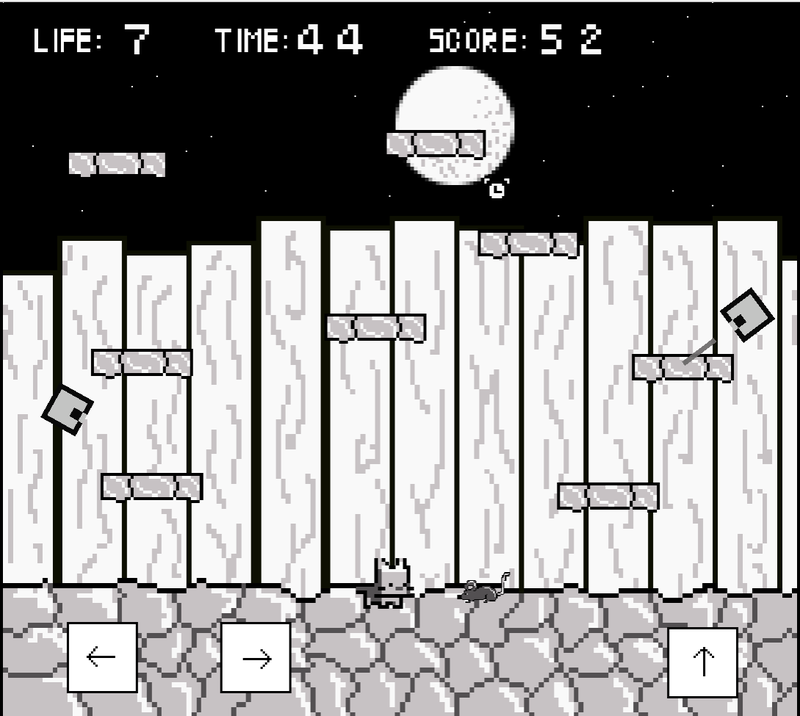 The power-ups disappear so quickly that it's hard to respond to them and the mouse is too fast compared to the cat. 1. I don't think that paralax is needed here. 2. Powerups are pretty generic and lifeless. Sometimes is hard to see where the clocks are. And if they appear outside the screen, you can't know about it. They should be larger and animated, probably glowing as well. They also should indicate better when they will disappear. 3. The cat should be bigger. 1. The background is pretty cool. 2. The music cool as well. - I've lost time to figure out that I needed to catch the timer forward in the level. - The stick thrower is something I can't recognize. Is it a robot? - The rats seems like hazard if you doesn't pay attention to titlescreen that actually seems like game mode options, it's not as clear as instructions. Maybe a phrase needs to be put out above that describes the player's objective. 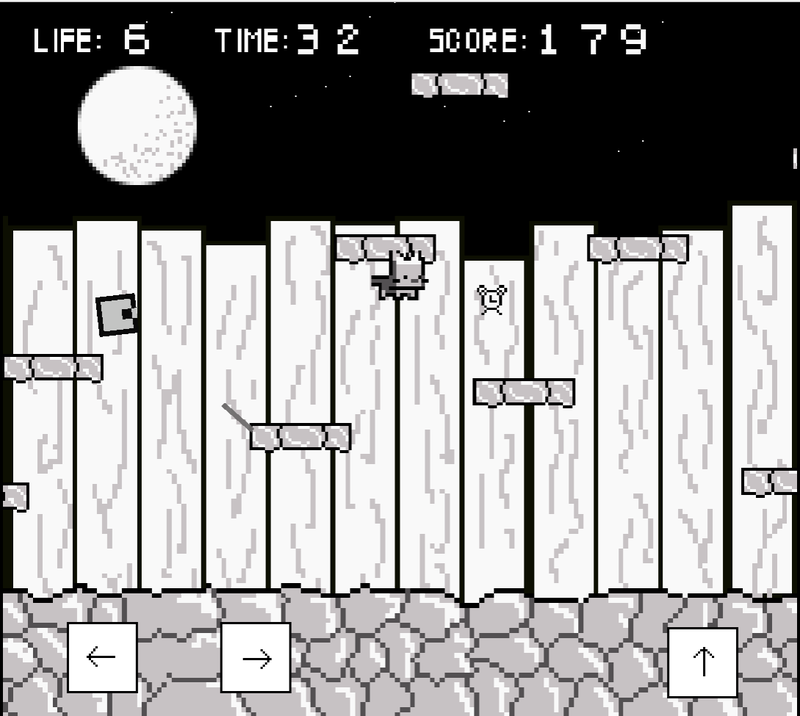 - The graphics seems not rendered exactly at the gameboy res, see the rat, instructions text and the site link. Seems like zoomed out and in. Anyway, it's my opinions and it's a nice game and I've enjoyed to play.